Part I of our Valentine's Day date was in Brookside and I wanted to go for a trendy but classic look. I found this dress majorly on sale at Francesca's and it was exactly what I was looking for! I wasn't able to find the specific dress I bought online but you might still be able to find it in store on sale! The bell sleeve look is a really hot trend right now and I'm absolutely loving it. I've always been a big fan of bell sleeves and am so thrilled to see them coming back! These sleeves were somewhere between a butterfly sleeve and a bell sleeve due to the length, but I liked how they had quite a bit of volume and hit at a flattering spot. The dress is more of a baby-doll style and definitely not what I typically go for in regard to length and fit. But, after trying it on I really liked the volume of the dress and the fact that it was a tad longer in the back than it was in the front! For a more classic look, I kept the shoes simple and just went with my go-to black pumps from Target. For me, the earrings are what made the outfit. I found these beauts at H&M on sale for $3 and had to have them. Not only are they perfect for Valentine's Day, they're an amazing piece that can add a wow-factor to any look! I wore my hair back with this look to show off the level of detail. For my evening date look I branched out and wore something completely outside of my comfort zone: a romper. This piece was also on sale at Francesca's and again, I wasn't able to find it online. But, like I said before, you might still be able to find it in store on sale! When building this look, I started with the romper, black tights, and my favorite super tall wedge boots. I wanted this look to be edgy and have an after-dark feel. Also, the fact that it had pockets was a major selling point for me - I needed somewhere to stash my Up-Down tokens for Part II of our Valentine's Date! Next, I added one of my favorite wardrobe pieces, my cape blazer! This jacket/superhero uniform hybrid is perfect for the office or for a night out. It was part of the Who What Wear collection at Target last summer and I've gotten so much use out of it in creating a variety of looks. To finish off the second Valentine's Day look, I added my favorite tassel earrings that are available in our Etsy shop! 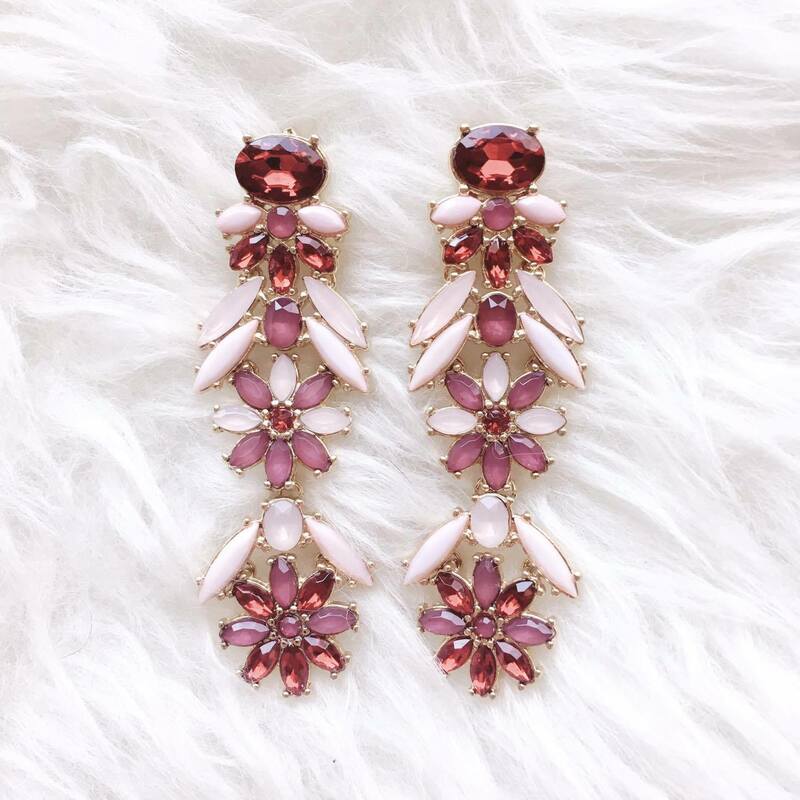 These earrings are such a fun way to spice up an outfit and I get so many complements when I wear mine! They're definitely an attention-getter. Which look is your favorite? Do you tend to go more classy and romantic or edgy and trendy on Valentine's Day? I'd love to see the looks you come up with! 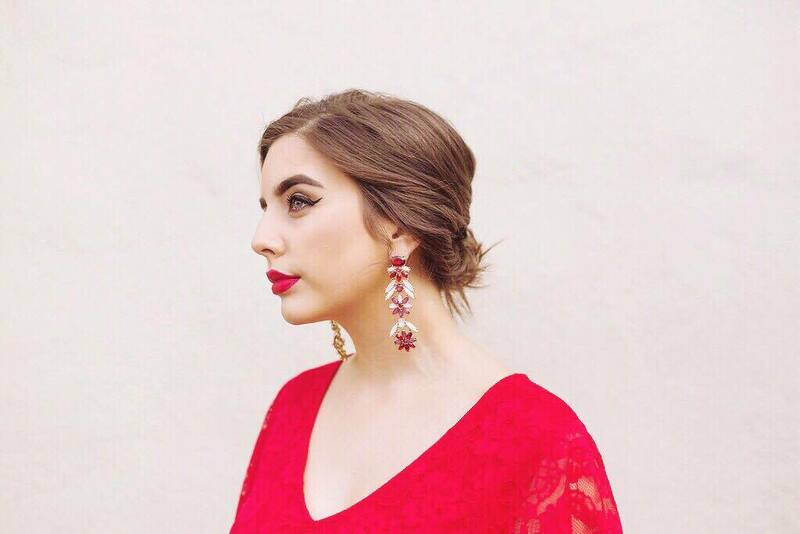 Use the hashtag #TheAustenAdventures to show off your V-day look! I might even repost it on our Instagram! In the year of 2017. People around me suddenly begin to hang out with animal dress.I'm feeling curious and suspicion at the moment:"Is this a thing now? "And here's my thoughts after research and the dress that I bought.